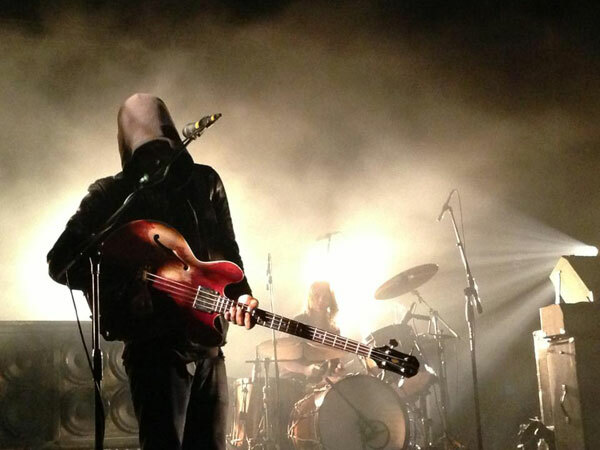 2013 is already a landmark year for Black Rebel Motorcycle Club’s Robert Levon Been. 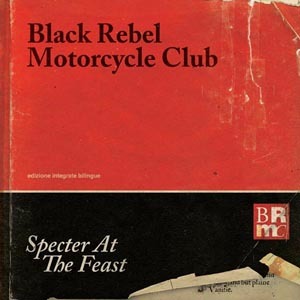 The co-singer/bassist/guitarist has reunited his late father’s band, The Call, and BRMC have just released a fine new album, Specter at the Feast. The Call were the acclaimed ‘80s band led by Robert’s father, Michael Been. And Michael was also key to Black Rebel Motorcycle Club: Michael was their live sound engineer right up to his sudden death in 2010. Robert took the place of his father in The Call’s L.A. reunion shows of April 2013, and a live DVD of the shows is being edited. 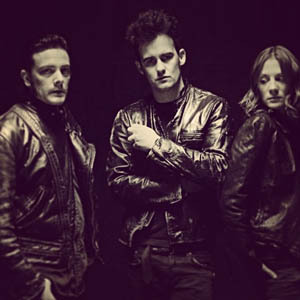 And BRMC’s Specter at the Feast is also something of a tribute to Been senior: the storming single “Let the Day Begin” is a cover of The Call’s best-known song of the 1980s. Was reuniting The Call your idea or did you get asked by the other members? Not sure it was anyone’s “idea,” we just connected. Those guys were like a second family to me when I was growing up. I was always on the road as a kid with my dad, so I knew them. It took a year to find a window to hook up. It was a shot in the dark, but rewarding. When I strapped on an old fretless bass of my father’s, I felt pressure, sure. And his vocal range is much wider than mine. So, I’m not sure how we did it, but we did. How was it playing your late father’s music? I was a nervous wreck before the shows. It was intense. I had 20 songs to learn, songs I thought I knew… but when it comes to the bridge or the third verse, it became harder. But it was a beautiful experience. It was very emotional for me. But it wasn’t just to honor my father. It was also about the other guys in The Call. Their hearts are still in it, they’re still playing music, even if it’s in bar bands just scraping by. But I learned a lot from them, and it was great to do it for them. You’ve said before that your father, Michael, didn’t reckon you had any musical ability as a child? When I first started playing guitar I was 13 or so, and I had no understanding of musical foundations at all. Musical puberty was yet to come! Michael turned to my mom and said, “You have nothing to worry about, he’s not going to follow in my footsteps.” But thankfully, a couple of years later, I picked up the bass and found it better for the way my brain works. And I got decent pretty quickly. Guitar still didn’t come for another few years, it took me some time. But I’ve read an interesting book about humans’ hearing changing around 14-16, and something changes in the brain. I grew up listening to a lot of heavy metal with my friends, but it was more of a communal thing, right? I don’t think I was really listening, it was just something you could share with people. But then I heard “Leave Them All Behind” by Ride. It was almost as if my world went from black and white to color that day. Once I heard that I changed. I listened to a lot of Stones Roses, The Verve… and lots of classic stuff like Led Zeppelin of course. But everything switched that day. There’s an atmospheric, healing sound to the record. It’s what we needed, and it felt natural. Making music is just capturing a space and time. But for all the light side, there’s also other tracks where we smash our heads through a window. We visit both poles on Specter and everyone wins that way. It was personal. The fact that I got through this and created something was reward enough. Y’know, at one time I was shooting to get out of bed in the morning. So there’s much credit to everyone around me to make it happen. You have a very melodic bass style: who are your main influences? Peter Hook, first. His parts seemed “fightable.” And certain things from Ride and Verve records. I tend to be more aggressive than those though, that’s my American side. Hendrix records, Nirvana… they all have bass that really inspires me. You mainly play a vintage Epiphone Rivoli II [a sibling of the Gibson EB-2D], which is a rare choice. Why? I got my first one because it was all I could afford. I couldn’t afford to go to Guitar Center! I found this pawn shop in San Francisco, and it was the only bass on the wall apart from modern plastic things. It was $800, and had loads of scars all over it. I complained to the guy that it was scratched and a bit messed up. He didn’t know basses at all, and I was “complaining” about the things I really loved about it! I knocked him down to 400 bucks. I adjusted my playing to it. It’s short-scale, really light, too. I can’t comfortably play other basses now. Anything else, it feels like going from driving a sports car to a dump truck. Other basses feel like work to me. It doesn’t feedback so bad and even when it does, I like it. With other basses it’s impossible to get that. It’s a souped-up hot-rod, to me. Yeah. Pete travels with nine Gibson guitars, just for different tunings. It’s kinda annoying, as there’s no room for anything else, ha! So when I play guitar, I tend to borrow one of his ES-335s. We play similar semi Epiphone and Gibson models, but maybe they talk to each other? It’s a struggle to stay out of each other’s ranges sometimes but that’s helped our playing: learning to play lines that complement each other’s space. We’re both big fans of three-piece guitar bands, obviously. With my bass I can go super-low, but I play higher melody too. That’s when me and Pete cross swords… that’s how we work.